Bringing the right customers to your website is only half the journey. 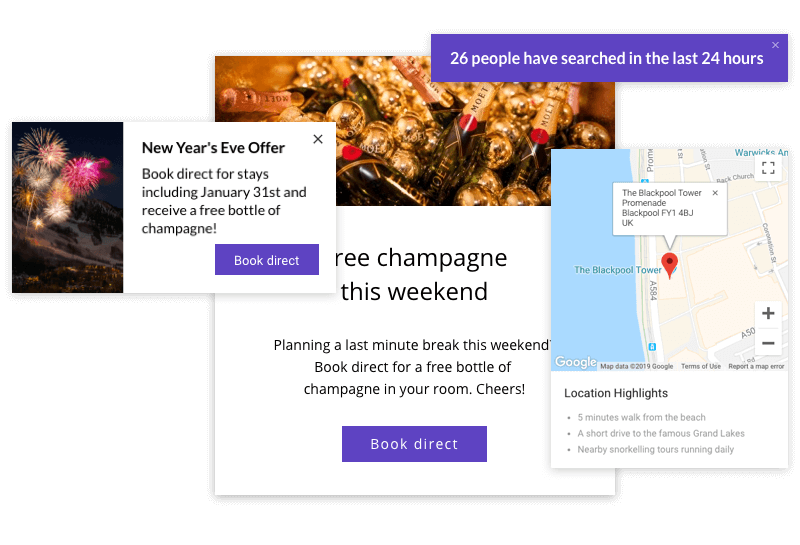 Use personalized experiences and dynamic messaging to dramatically increase their conversion rate. Choose from ready-built templates, create a unique message in minutes or upload your own custom design. Send the right message to every guest. 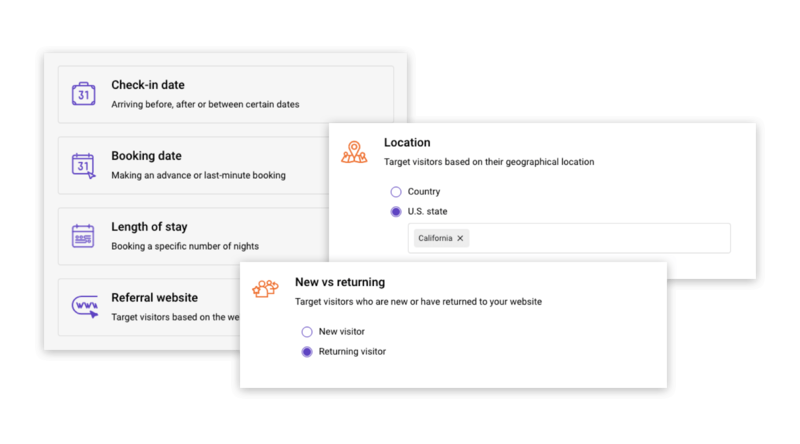 Segment your customers based on location, webpage, check-in date, referral website, new vs returning or the length of their stay - plus you can instantly create language variants for different versions of your website. 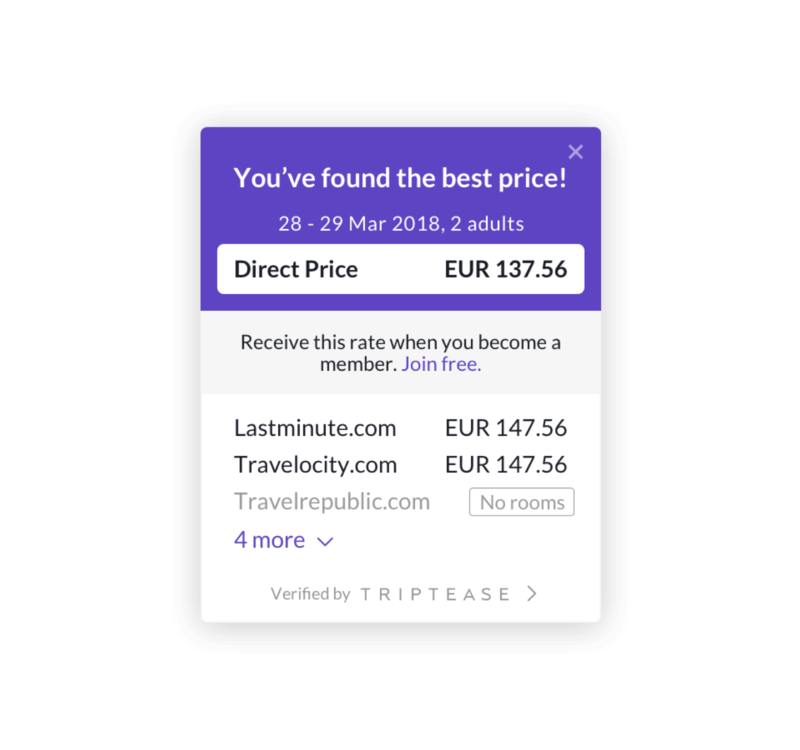 When a guest searches on your website or booking engine and you're not being undercut, Price Check will display your direct price (and direct booking benefits) along with the prices of your chosen OTAs. Our automated AI chatbot answers all your most frequently asked questions instantly. 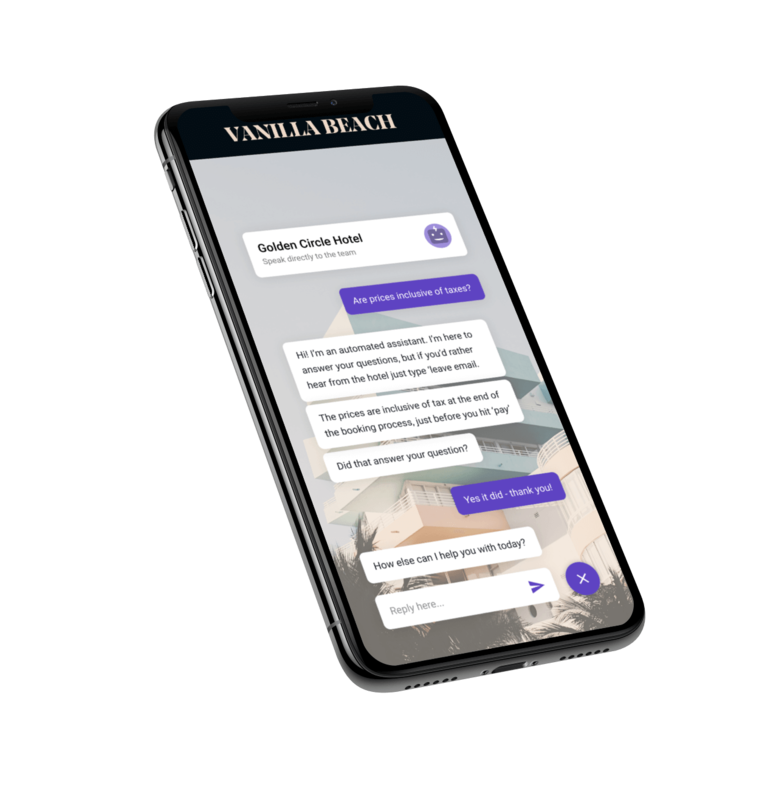 Assist every guest automatically and remove pain points on the path to purchase with a live chat tool built specifically for hotels. If a guest is ready to make a booking they can check availability automatically via automated live chat. If they’d like to send payment details to reserve their room, you can collect card details securely too.